In this blog post we’ll see steps involved in Publishing a Deployment Profile to vCAC Service Catalog. 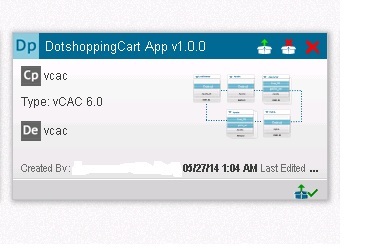 In our previous blog post we saw how to Map vCloud Application Director logical template to vCAC Cloud template. 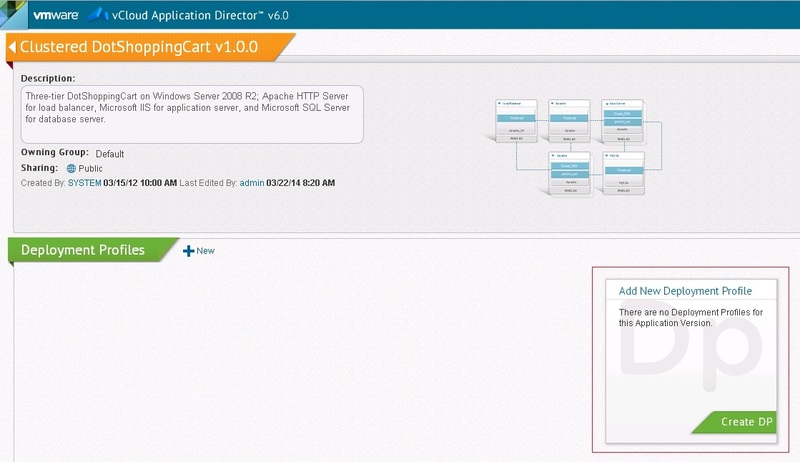 Lets jump in and see the steps involved in the publishing a DP to vCAC Service catalog. 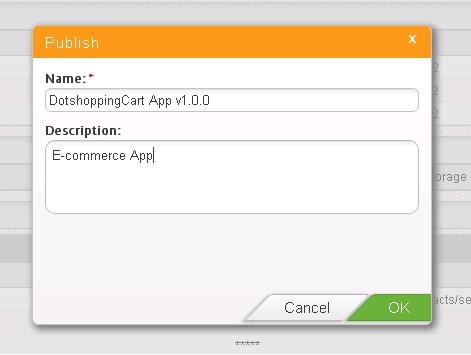 In this example we’ll publish one of the default app that comes with the App director(Dotshopping Cart, jPetStore etc). 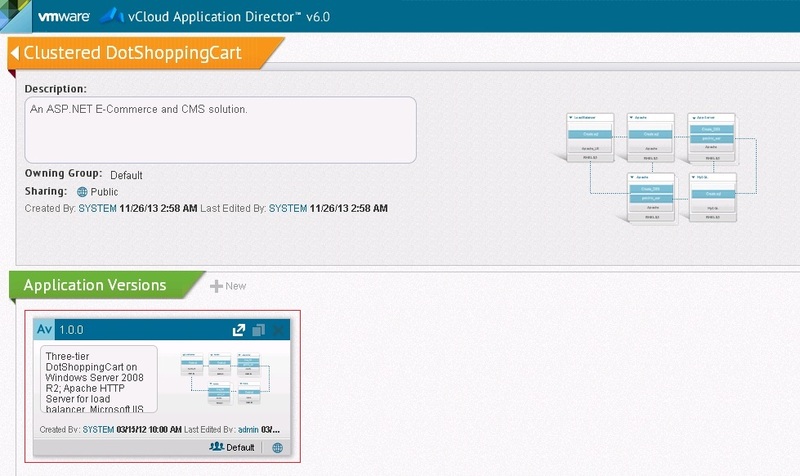 On the vCloud Application Director title bar, click the drop-down menu and select Applications. Click the name of the application. A list of application versions appears. 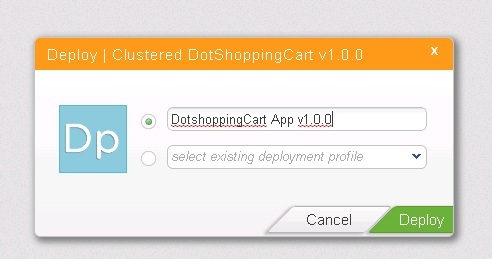 Select an application version and click the existing deployment profile or create a deployment profile. The Deployment Profile wizard opens. Give a name for the new Deployment Profile (DP) and click Deploy. Choose all the required and click Next. We’ll be mapping the cloud templates in this particular step. Now we can change the properties of all the components that make up this App. Once done, Click Next. Review the execution plan and see if there is any changes to be made. Finally Review the Deployment Profile and click on Publish. This will Publish this particular DP as a catalog item on vCAC. Click OK to confirm. Now the App is published. 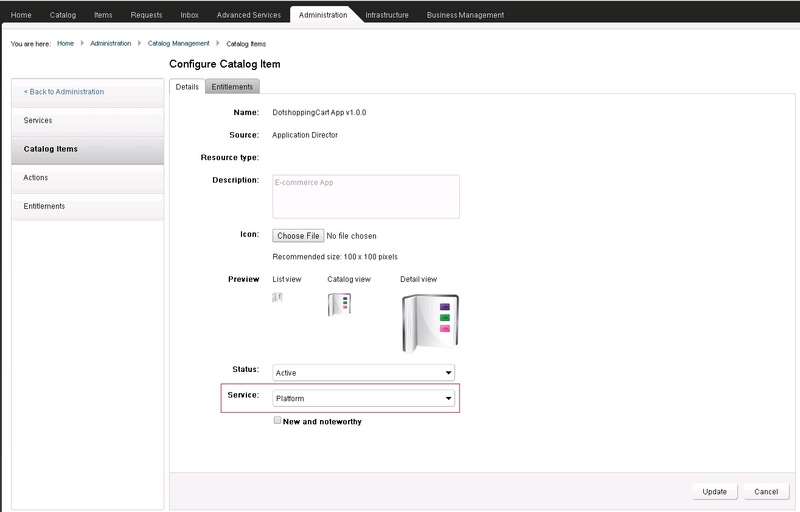 Log in to your tenant in vCloud Automation Center . 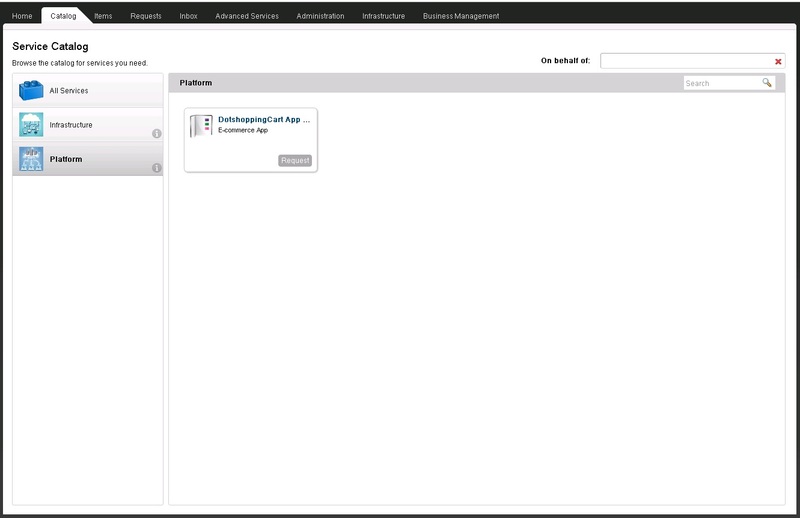 The vCloud Automation Center Web interface opens. 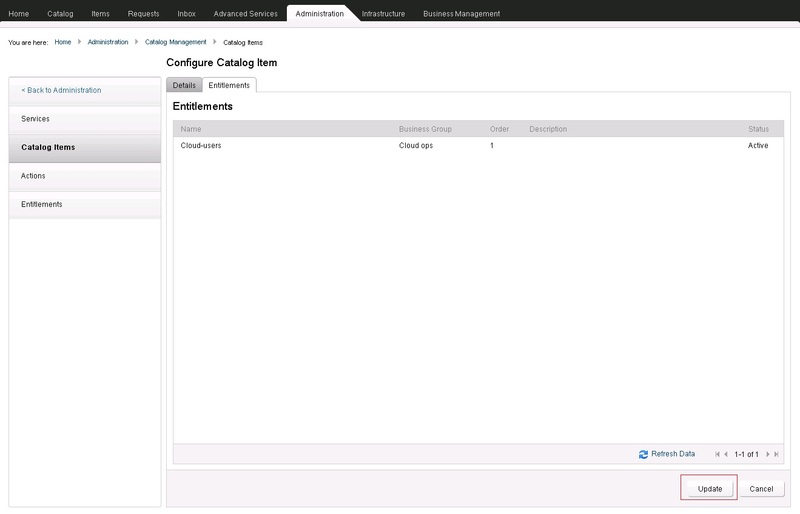 Select the Administration > Catalog Management > Catalog Items tab and open the published item in the catalog. Assign an entitled service to the catalog item from the Service drop-down menu. In the right-hand navigation, to entitle the service to a catalog item select Entitlements and open the entitlement and click Update. Now the process of Publishing a Deployment Profile to vCAC Service Catalog is complete and the App will show up on the Service catalog. It’s a great reference guide that you have prepared. Great Work. I have a small issue. I don’t see the ‘Publish’ button during Review of Deployment Profile on my vCloud Application Director. Is this issue strange? What should be done to fix it? Hi, I figured out the issue. I had logged in as a different account.